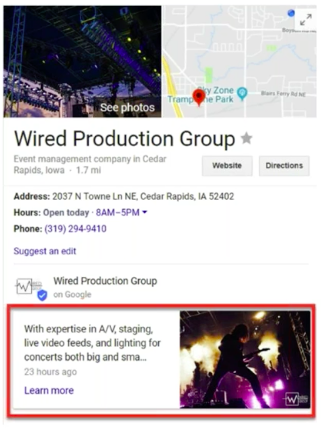 Tag Archives for " Google Search Console "
The video above is a replay of a recent live webinar I conducted. Combined with the text below you should have a pretty good feel for how to use the new Google Search Console. There is a tremendous amount of interest in Google tools, especially for small business owners because these are important tools and they change a lot, making them difficult to stay on top of. One of the tools that deserve a lot of attention these days is Google Search Console, so I thought I’d cover some of the basics here to help get you started. 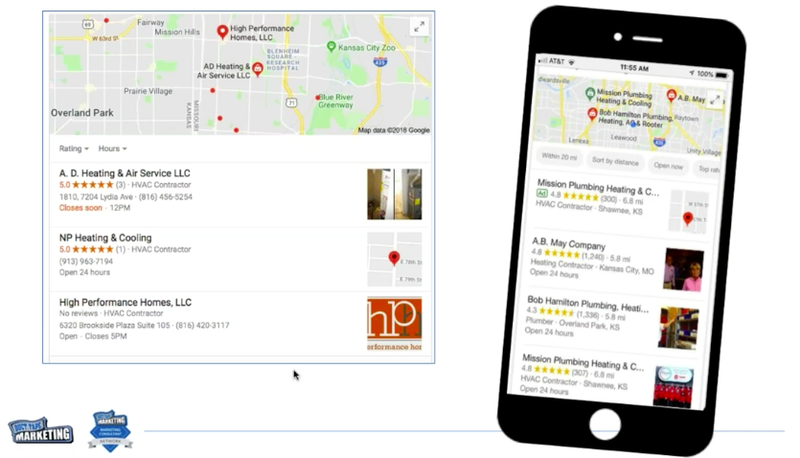 Google My Business: This tool is especially important for local businesses. Google seems to be putting a lot of energy into making improvements in this space, which, to me, is a sign that this tool isn’t going away. If you’re a local business and haven’t gotten started with this yet, I suggest you begin here. Google Analytics: This is a free tool that allows businesses to understand their traffic and other relevant data. 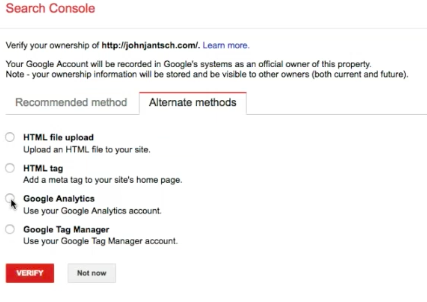 Google Search Console: Partnering Google Analytics with the Google Search Console is how you get the most complete picture of what’s going on in terms of people finding your website, clicking on search results, and so on. Google AdWords: For a lot of small business owners, paid search is the way they generate leads and customers. These elements all have the ability to be integrated with one another and you should take advantage of this to get a full picture. If you’re relatively familiar with Google tools, you may remember Webmaster Tools. Google Search Console has replaced that (in fact, if you type in “Webmaster Tools,” you’ll get directed to Google Search Console). In addition, there is also now a new version of Google Search Console but you can still get access to the older version. You’ll find that you’ll jump back and forth between new and old because there are elements in each that are better than the other version. In my opinion, the dashboard serves as the landing place when you log in but it doesn’t really provide any valuable or actionable information. The menu on the left side of the page is where you want to focus your time. Messages: If you have any messages, this is the area where Google will let you know. In my opinion, this is reason enough to have a Google Search Console account. If there is something wrong with your website (including it being hacked), Google will let you know here. Search Appearance: The sections under Search Appearance include Structured Data, Rich Cards, Data Highlighter, HTML Improvements, and Accelerated Mobile Pages. I personally love HTML Improvements because it will show you the pages Google looks at that let you know if you have duplicate or missing title tags, or that the tags are too long or too short, and so on. It shows you actionable steps you can take to improve your site pages. Search Traffic: Within this category, there is a tool called Search Analytics that will show you just that, metrics that give you insight into how your site’s performing with traffic, including clicks, impressions, and CTR. It will also give you keyword rankings for terms you’re going for. It’ll essentially show you what’s sending traffic to your site. I look here for opportunities of where to start for places I could rank. Search Traffic also includes an area called Manual Actions where Google will show you why they may be penalizing your site for various reasons and how you can take action to fix them. Mobile Usability under the same section will show you what’s wrong with your site from a mobile standpoint. Google Index: This is where you can see what pages Google has indexed (as the name implies). Crawl: Here, you can see how Google actually sees your pages. This becomes important when you’re trying to see why pages aren’t ranking. This can also show you 404 pages that need to be cleaned up. As you can see, there aren’t nearly as many tabs on the left-hand side in this version. It only includes Performance and Index Coverage. They’re useful, but as I mentioned, this tool really becomes useful when you dive deeper, which is why it’s important to jump back and forth between each of the versions. The Performance Report in the new version, however, has a lot more information than the previous version and I believe it’s the best feature of the new one. You have the ability to look at the past 16 months of data, which can be very useful when identifying trends and patterns. You need to verify you are the owner. Not anybody can just set up an account for any site. You need to go through the process to claim you are the owner or have access to the site. I usually click on Alternate Methods (see image to the right) and select Google Analytics because this seems to be the easiest way to verify if your analytics account is already set up. This gives Google the opportunity to be able to index the pages on your site. If you use WordPress, the Yoast plugin will automatically produce a sitemap for you and gives you a link to submit to Google (there are other tools that do this as well but I tend to go with this one). Once you have the link, go to Crawl in the old version of Google Search Console and click Sitemaps, which is where you’ll be able to submit it. You may not see the information populated immediately but it will happen over time. Once your account is set up, go look at your messages immediately. It may take a few days for messages to show up, but you’ll want to see them as soon as they do. This will allow you to see search term performance data within Google Analytics which isn’t there by default. It may take a bit for information and recommendations to populate, so be patient! Analyzing the performance of your website is one of my favorite components of the Google Search Console. You can see actual search terms people are using to find the pages that they land on on your site. Google Search Console is the only place you can get this information. As mentioned this is a great way to see trends, but it’s also a great way to see improvement for your business or your client’s business. This ranking factor isn’t talked about very much, but it’s important. Understanding your CTR and ways to improve it can help you get an extra SEO boost. CTR is where I often spot opportunities for ranking and conversion. On page one, aim for at least 5% CTR. You can view CTRs under the Performance tab on the updated version of Google Search Console. 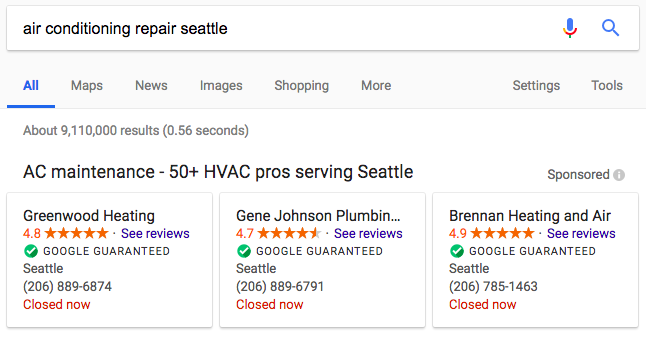 Looking at a combination of search terms, impressions, CTR, and position on Google can help you identify areas of opportunity to rank and convert. To make a CTR better for any given page, look at the metadata, including title and description, for the page. While the description isn’t technically a ranking factor, it is an ad for the page. See how you can improve it to make the page more enticing. Additionally, see how you can improve the content and on-page elements of that page to make it more clickable. Consider adding internal links to the page as well to increase dwell time which can also help to boost CTR and rank. To see what search terms are bringing traffic on individual pages, look at Pages within the performance report, click on the page, and then click on Queries to see what search terms are for that page specifically instead of the site as a whole. Whichever term is bringing in the best results, that’s the one you should consider optimizing the page for moving forward. The Performance report is really where the new version of Google Search Console shines. Did you know your internal linking structure is a ranking factor? So, if you have a page that’s ranking, and performing well, but isn’t quite in the top three spots on Google, linking to it from other pages of your website could give you that extra boost to move you into those desired spots. In the older version of Google Search Console, click Internal Links to gain valuable information as it relates to this ranking factor. You can see how many pages are driving to a particular link and see what areas could use a boost. If you click on Links to Your Site in the menu, it will show you sites that are linking to your pages from external sites (another ranking factor). This tool will give you insight into areas of opportunity to get additional backlinks to your site. The pages that already have a lot of backlinks are what I like to refer to as Power Pages because they have a lot of authority. I’ll often try to use those pages to link to other pages of the site that I’m working on to increase rank. When I’m in the Performance Report, I want to look at pages that are doing well but are underperforming. For example, ask yourself how you can get your results on page two to rank on page one (these are the low-hanging fruit). I also like to understand what keywords are driving to a page before I make any adjustments. In addition, taking a look at mobile vs. desktop performance can be very beneficial. If you have a site where mobile traffic is extremely valuable, but CTR on a mobile device is lower than the desktop version, brainstorm ways to optimize for the mobile version. While many areas of Google Search Console may seem technical, as you can see, there are other areas that can be extremely helpful without going to deep into the technical side of things if you spend some time playing with the tool. Dive into the Google Search Console monthly and you’ll start to find information that could help drive your marketing efforts moving forward. Head swimming with all this? How would you like us to set your Google Search Console up for you? Check out our Total Online Presence Audit service where we’ll review your website, content, SEO, reputation, competitive landscape and Google Analytics and Google Search Console – oh, and we’ll also give you a rundown of your highest priority fixes and opportunities – how’s that for getting some peace of mind? – Check out the Audit here. Update: 06/20/18 – Google significantly updated the look and reporting in Search Console. The reports now go back a full 16 months and allow 6-month comparison similar to Google Analytics reports. We do strange things for love, and when you love your business you find yourself making all sorts of little weird changes to your website to boost that Google Search ranking slightly higher. The thing is, in a world where search results are customized for each individual user, it’s sometimes tricky to tell whether or not your efforts are really paying off. Luckily, Google provides you with a powerful tool you can use to take a look at your rankings, track keyword performance, and spot content that has the best chance of making it to page one. It’s called the Google Search Console. If you’re dipping your toe in the deep SEO waters, we’ve got you covered with this comprehensive guide on how to use the Google Search Console, plus what it can tell you about your website. The first step towards accessing the powerful tools at your disposal through Google Search Console is to verify your domain. Basically, Google wants to make sure that you are indeed the owner of your website. There are a few ways to do it, so just go through the steps and you’ll be up and running in no time. The next step is to dig into what properties you list using “Add Property,” and how you organize them. It might seem granular, but it’s worth it to go through and list any and all versions of your domain: http://yourdomain.com, http://www.yourdomain.com, https://yourdomain.com, and https://www.yourdomain.com. If you have any subdomains that you want to be able to play around with, you also should add those here (and any variations), so things like http://blog.yourdomain.com for your blog, or http://www.yourdomain.com/es if you have a Spanish-language version of your site, for example. If this is starting to look like a lot of domains to handle, you’re right, and Google has made a tool to help you. If you click “Create a Set” you can group your domains into “Property Sets.” This can help you segment off particular areas of your website to see how they’re performing as a group, like all your inventory listings, for example. Since the main reason we’re here is to find out what’s going on with search and our website, let’s get down to brass tacks and crack open the Search Analytics Report. Immediately, you’ll notice there are a bunch of different ways to view this data. Google presents you with filters for Clicks, Impressions, CTR, and Position, and then you can separate the data out further with an array of options to view by queries, pages, countries, devices, search type, and time range. It’s important to note that Search Console only shows the last 90 days of searches, so it’s all about recent trends. So, that’s a lot of options, but what can all this data tell you? The great thing about Google Search Console is that it shows you the actual search queries that lead someone to click through onto your site. That means you can see what’s working, and what’s not. You also have a few different stats you need to understand. “Clicks” shows the number of clicks to your website per search query, but keep in mind it doesn’t account for everything— you’ll quickly notice your clicks per query don’t add up to the total clicks number it gives you. “Impressions” is the number of times your website came up on Google results. This might include a lot of times when you came up for a weird search query (like if someone is looking for a client you have listed on your website) or showed up on the 8th page, which might as well be not at all. Still, you should understand these numbers as your site’s potential to broaden its reach. There’s also “CTR”: click-through rate. This number tells you what percentage of impressions resulted in a click through. Remember, there are a ton of different ways that your website can make an impression without necessarily being relevant, so a low number isn’t necessarily that bad. Finally, there’s “Position.” This number shows you where your website appears in an average user’s search engine results page (SERP). We’re talking about organic results, so shopping, images, videos, etc., but not AdWords. There are 10 results per page, so any number below 10 means you’re on the front page and doing pretty well. The first thing you want to do with all this information is take a look at how customers are actually finding your website. Using the Search Query Report, you can find out what people are searching that gets you on a SERP, and then use that data to make a plan for how to do that better. You might be surprised by how you’re popping up on the radar. Use these search terms to guide content generation that will help you perform stronger in the future. Maybe consider reworking the titling of key pages so that they index stronger and score a higher position. We all have a lot more to do than sit around and think up content all day, so working backwards is hugely helpful because it lets your prospects tell you what they want to see. The Search Console also helps you sort through search terms to figure out which have high CTR and which have room for improvement. Some terms are just going to be irrelevant, but anything with an unusually high CTR is a promising possibility for generating traffic and business. Terms with low CTR probably need some help, either because the listing is bad or the term is competitive. Figure out what queries you’re interested in, and then crack open a fresh incognito tab (so you get a more average Google experience) and search these terms. Look at your listing and see what’s going on. How does it read? How do the other listings on the page look? What can you do to stand out? Finally, what does Google think the searcher is looking for based on what’s on the SERP? One of the most powerful things that you can do in Search Console is to break out queries by landing page. This helps you look at specific parts of your website to see how people are finding them and how you can give them a boost. If the terms don’t seem all that relevant but have a high CTR, then you may have discovered a new angle to optimize for. If on the other hand, the terms are general, then you need to do some work on how to land it more firmly in a niche or work your SEO tactics to help give it a boost. Search Console also gives you a series of reports that can help you to catch obvious errors in your site that will help it perform better. Browse through Search Appearance HTML Improvements to help you sort out your tags and meta descriptions. In Search Traffic, there are Manual Actions, which tells you if you’re doing something that’s against Google’s rules and might be negatively impacting your presence. There’s also Mobile Usability, which lets you know which pages might have issues on mobile like clickable elements being placed too close together. Finally, there are some options under Crawl that are helpful. Use Crawl Errors and Site Map to help you understand if your site is speaking robot effectively. There’s a lot to take in, and the data is constantly updating since it tracks the last 90 days of search performance, but Google Search Console is a powerful tool you should be using to help you improve your search performance and make the tweaks you need. Looking at the right data can help you understand how prospects are finding you, where you need to do better or make more content, and how to get started. 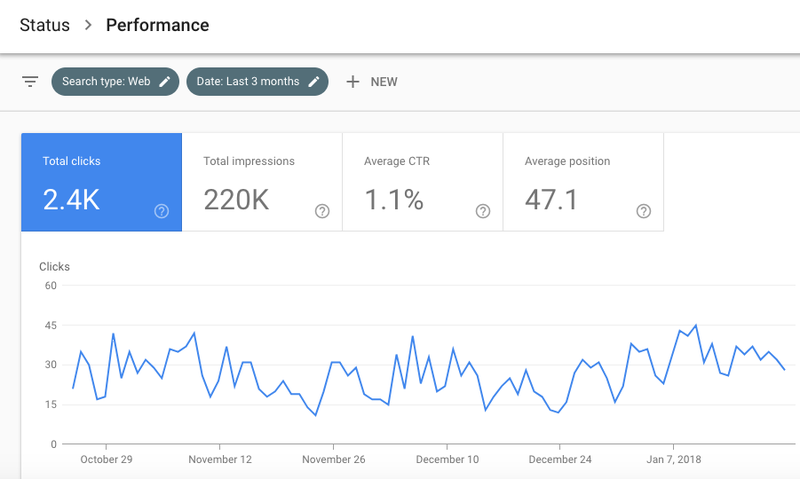 Take advantage of the robust dashboard and check in with Search Console whenever you’re looking at ways to make your website perform at its peak. Now, what I do encounter most of the time is a small business that needs a total site makeover or redesign. It’s not that they were just awful in the first place, (well, some were) it’s that every site, just like every business, needs to evolve. That means if your current site design is around two years old it needs some attention. But, before you rush out and give a designer the keys to your site, take steps to ensure you don’t unknowingly undue all the good you’ve accomplished with your previous site. Eager designers don’t mean harm when they create a new design, they just need more information, and that’s where you come in. Before you even visit a WordPress theme designer arm yourself with some information that can help them make good decisions about what stays and what goes in your current configuration or take the risk of losing all that hard earned search traffic. Now, I’m not suggesting you simply hang on to SEO gains over things like better navigation, visitor usability, and conversion, but don’t throw everything out just for something that looks more modern. 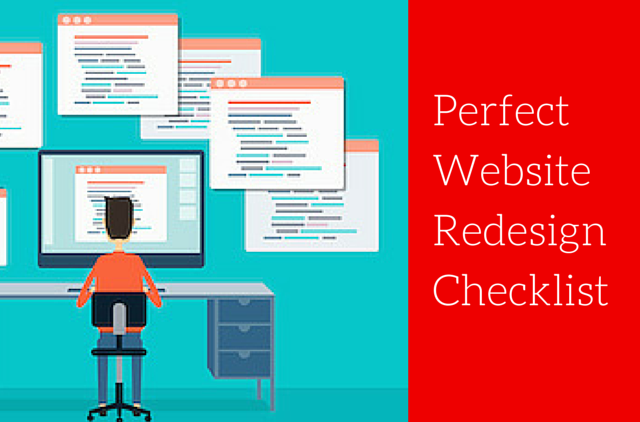 Use this checklist as you embark on a site redesign as a way to capture all existing elements and consider content needs, edits and issues before the project starts. Do you have access to Google Analytics? – I know, weird question, but you might be surprised how many sites have analytics installed the owners have no idea how to access the data. Have you cataloged all pages and current issues? – Use Screaming Frog to create a spreadsheet of all of your pages and any currently broken links or crawl errors. Have you added Google Analytics data for pageviews, bounce rate and time on page to a spreadsheet to help make assessment on content to keep? By adding this kind of data to your spreadsheet you might learn about some pages that are receiving a surprising amount of traffic or links. Have you ranked your spreadsheet content? A= keep no edit, B=keep edits needed, C= drastic rewrite or dump? This step involves your overall business and marketing strategy so you’ll need to consider how you want to position your business and your editorial calendar moving forward to make some of this decisions. Have you audited any lead capture/landing pages/forms? If you’re capturing email addresses for a newsletter, ebook or webinar series you’ll want to make sure you take note of these for the redesign. It’s easy to lose track of landing pages because they are often buried away from the main navigation. Have you audited SEO for ranking pages? Screaming Frog can give you information about pages that already rank for desired terms. If these terms are still relevant, you’ll want to think long and hard about how to keeps these pages intact. Have you evaluated current plugins for use? A redesign is a great time to reconsider your current plugin use. Plugins are a big resource drag and a security hole – less is better. Have you evaluated needed integrations (CRM, ESP, Shopping cart, etc.) Finally, if you currently have some integration with other 3rd party tools or client portals, you’ll want to note the need for these and make sure you can share this information with your designer. The steps above may seem like a lot of work, but it will save you a ton of work, worry, and headache in the end. In fact, if you start working with a designer and they don’t ask you for this information up front, you should be concerned.